This week we celebrate Thanksgiving. This time I won’t be cooking. I am going to celebrate. With my good friends. In the restaurant. And I will not eat turkey because I don’t like it. I’ll enjoy a juicy, bloody prime rib with horseradish. So to keep up with the Thanksgiving tradition, I would like to express my gratitude for the abundance of food in California. 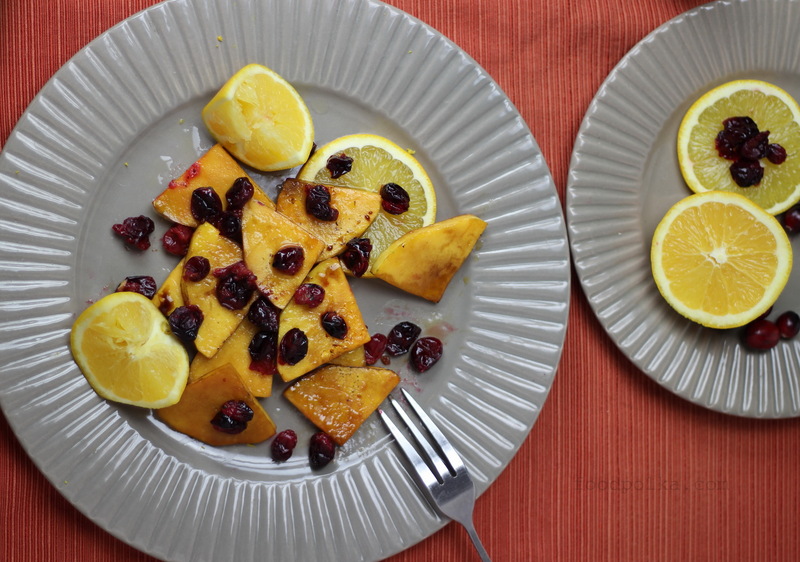 For the local free Navel oranges from my friend’s backyard tree that I used for this dish and its picture. I am expressing my thankfulness thru this recipe. Try it out. You will be thankful too. Preheat oven to 400 degrees. Spread squash slices across a baking sheet lined up with aluminum foil. 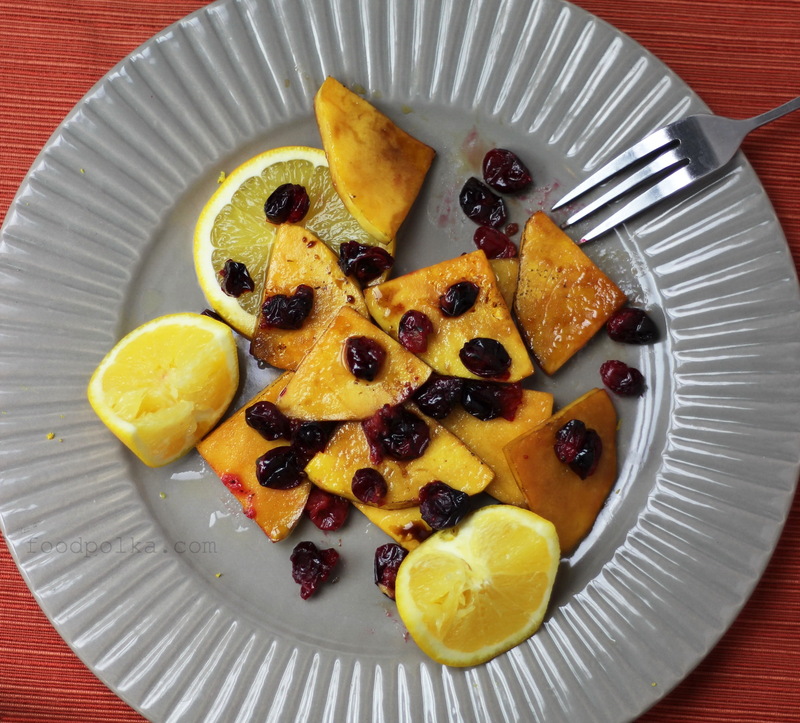 In a bowl, combine oil, honey, balsamic, orange juice and zest and 1/2 cup cranberries. Pour mixture over squash, and using hands or spatula evenly coat squash slices with it. Bake for 20 minutes. Increase oven temperature to 425 degrees, add remaining cranberries and roast additional 15 minutes (until squash is tender, starts caramelizing on outside and cranberries popped). Remove from oven and drizzle with additional, orange juice, honey or balsamic (if desired). Even I can do this ! I prefer parchment paper over aluminum because I can’t spell aluminum with out spell check! That’s probably healthier choice anyway!